This bag is designed for sorting games and memory cards when travelling or home storage. Applicable to game and photography fans, you can store games or memory cards together for easy searching and use. 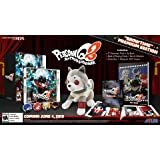 Compatible with Nintendo Switch/3DS/XL/2DS/DS games, PS Vita games, and SD/microSD memory cards. All game cartridges size is small, put game cards together, each card has his own position, you will never forget and lose them. Make your cards find the road back home. In side, 32 big size elastic slots for sorting Nintendo 3DS/3DS XL/New 3DS/2DS game-cartridges. 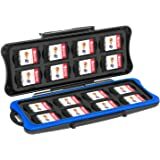 For Nintendo Switch/PS Vita/SD microSD memory cards If you have not 3DS/2DS game cards, you can also store 72 cards for Nintendo Switch, PS Vita game cards, and SD microSD memory cards. 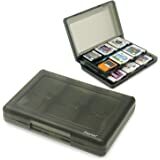 Easy to stay organized and allow for slipping the games effortlessly in and out as needed. The interior's soft cotton jersey fabric helps keep your cards free of scratches. Easy to grasp and pull metal-zippers. 4.0 out of 5 starsRows of 4 games fit perfectly. Rows of 5 not so much. The case seems sturdy and should last quite a long time. Both the 3ds and regular ds cartridges fit perfectly in the middle sleeves, which have two rows of 4. But for some reason, the outer sleeves are rows of 5, and it is difficult to get the game into them by themself. It's a real struggle to get two of them in next to each other on these five rows (see photos). Not sure why they did that when the 4's were the perfect size. Maybe I got an abnormal one. Still, I'll be keeping it as the quality of the materials used to make it is good and it suits my purpose. 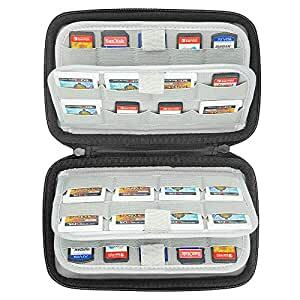 Got this case to hold all my switch games. Materials feel nice and seems to have a good amount of protection. Layout is a bit awkward and strange. Downfall is that it smelled so bad I couldn’t take using it. Contacted the company and they weren’t very helpful at all. I was just told just to return it for a refund and that was it. Not even a “sorry” for your problems. This is probably the best thing I've ever gotten on Amazon. 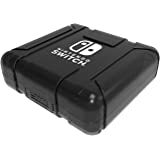 I was looking for something that held more than 30 games all at once and wasn't plastic or could damage my switch cartridges. I have increased my collection and LOVE that this can keep up. The size is great and isn't too much of a burden to carry. I recommend it to any and everyone looking. Such a worthy upgrade and totally worth every penny!!! The Game case is awesome. It can hold my PSVita and switch games so I can carry both systems together without a problem! I'm enjoying not having to worry about not having spaces for my games. 5.0 out of 5 starsFinally! A quality game case! 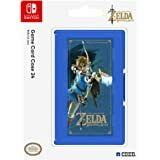 I've been looking everywhere in Amazon for a Game case that can hold Switch games. 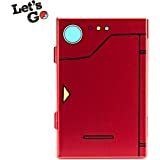 I wanted one that was high quality, only a case for games (not for holding an actual Switch console), and would not snap the games when you try to take them out. I am so happy with this product!